Dr Phillip Princiotta is a registered Osteopath, Naturopath, Acupuncturist, Bowen therapist and Iridologist that uses a broad range of knowledge and experience acquired over many years to provide a holistic approach to the treatment of health disorders to maximise recovery from acute and chronic illness, pain and injury. Find out more. The Bowen technique is a unique holistic system of bodywork that combines osteopathic and chiropractic intent with acupoint theory. Find out more. Bowen Therapy, Acupressure, Aromatherapy, Craniosacral Therapy, Cupping, Ear Candling, Energy Healing, Lymphatic Drainage, Massage - Chinese, Massage - Connective Tissue, Massage - Deep Tissue, Massage - Mobile Service, Massage - Pregnancy, Massage - Remedial, Massage - Sports, Massage - Swedish / Relaxation, Moxibustion, Myofascial Release Therapy, Myotherapy, Qi Gong, Reflexology, Reiki, Remedial Therapies, Shiatsu, Sports Injury Therapy, Thought Field Therapy, Traditional Chinese Medicine (TCM), Trigger Point Therapy. Find out more. Lasting pain relief... Find out more. Specialising in clients with trauma and abuse histories. Intuitive Myofascial Bodywork and The Spiral. Available in Carlton, Northcote and North Balwyn. Find out more. For all of your professional Bowen Therapy treatments in the greater Brunswick area, you can't go past us here at Nicholson Street Bowen Plus. Find out more. For more information please contact Jo 0412 417 065. STRICTLY BY APPOINTMENT ONLY. Find out more. 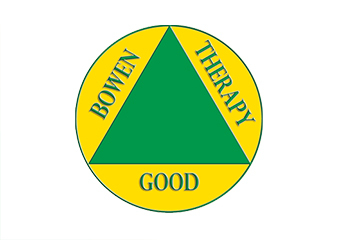 Bowen Therapy can assist the recovery from many conditions, from traumatic injury to chronic illness, depending upon each individual’s capacity to heal No adverse side effects have been reported Click here and enter your details to receive 10% off your first session. Find out more. Borne with a natural intuitive ability, Erika has always been guided by Spirit. Find out more. Professional Naturopath (over 30 Yrs Exp. ), Bowen Therapist & Pranic Healer. I have also worked on both TV & Radio discussing health issues. www.npod.com.au. Find out more. Whether looking for a new career, change of direction or adding a new modality to what you currently practice, learning Bowenwork gives you a wonderful opportunity to work holistically with your clients.